This table for dating amphoras is taken from Heinrich Dressel: Corpus Inscriptionum Latinarum, band XV, Berlin 1899. The table mainly covers Roman types. It was made in a time when relatively few amphoras were known and could be dated. Today, many more have been found underwater. Despite this shortcoming, the table is still useful and serves as a basis for later improved classifications, e.g. by Nino Lamboglia and Ricardo Pascual. 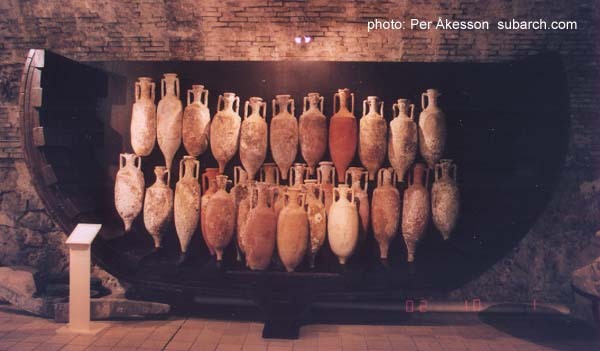 Forms 1-6 are Roman wine amphoras. 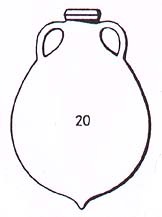 Forms 7-15 are south Spanish salt fish amphoras, except for # 12 which is Roman. All other forms are later and were not classified by Dressel.